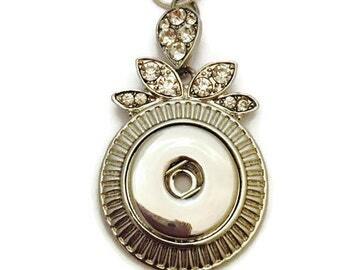 This beautiful butterfly snap necklace comes on your choice of either an 18,24 or 30 inch silver chain. 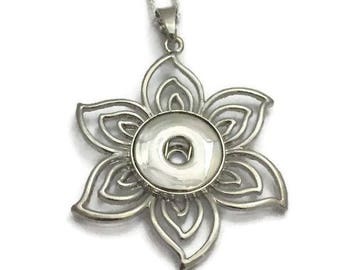 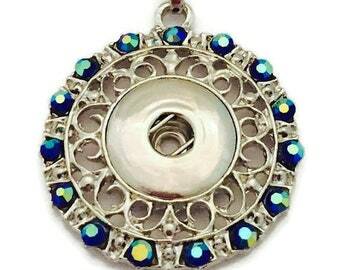 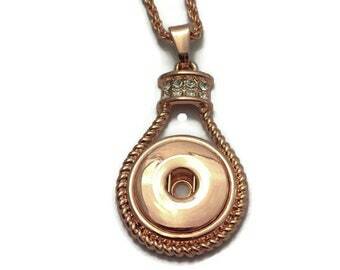 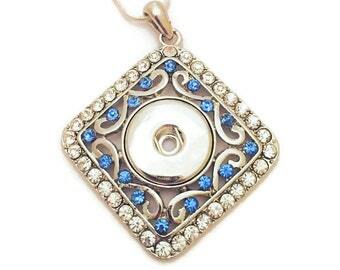 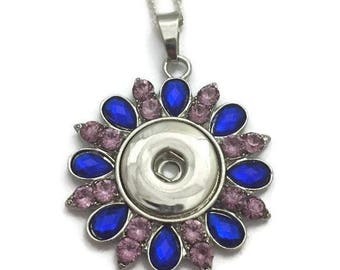 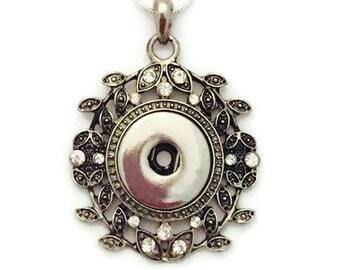 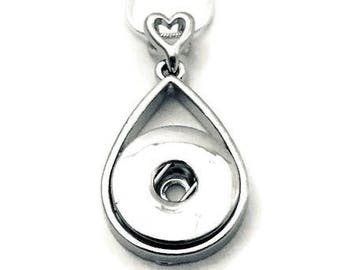 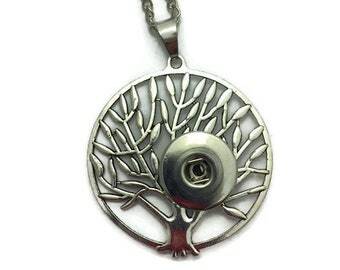 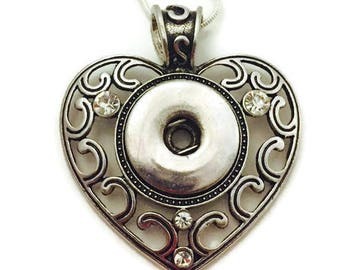 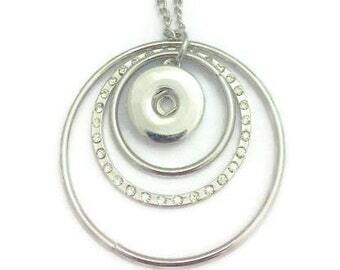 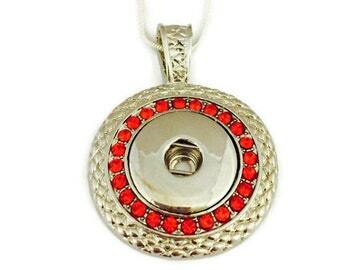 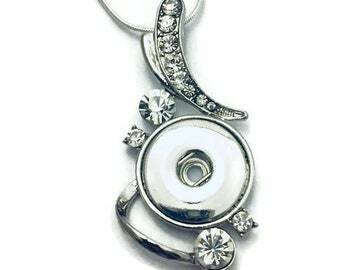 Pendant is 2 x 2 inches and fits all standard and popular 18mm Snap charms and snap buttons. 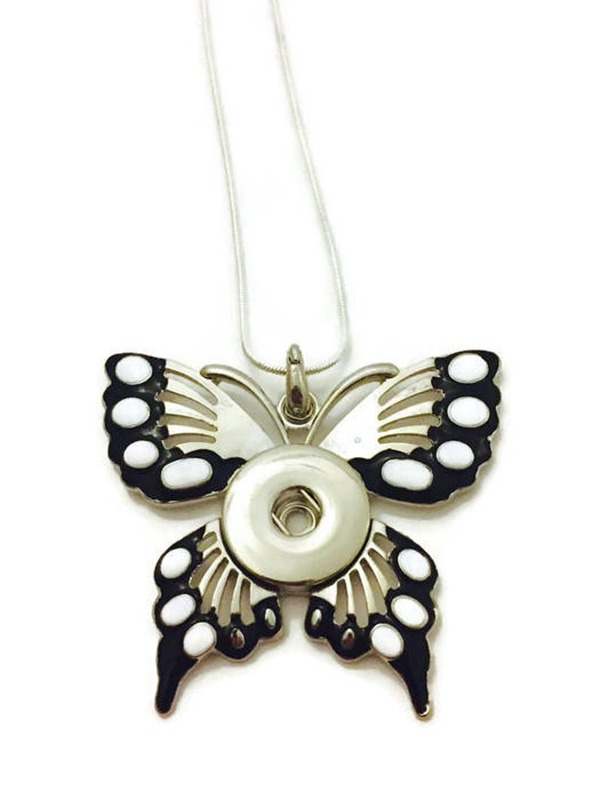 Butterfly is silver with black and white colorings.